You look to Manhattan Fruitier throughout the year for gifts of exceptional beauty, quality and taste. Let us take you through all of the months with Our Taste of Manhattan Fruitier, a year-round subscription program offering a variety of monthly gifts highlighting what's seasonal, what tastes great, and what we love! 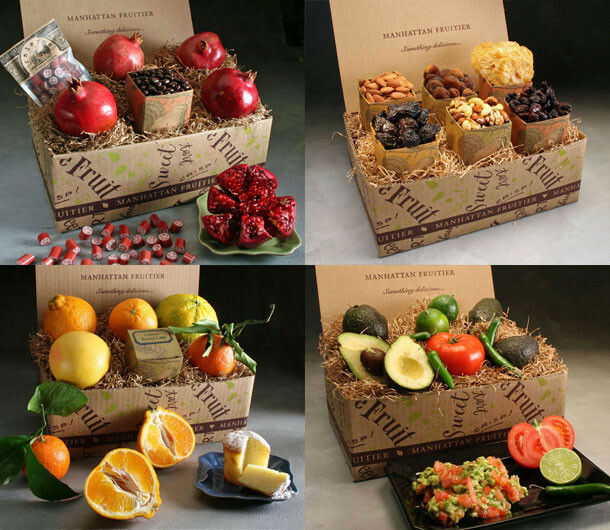 We design each monthly gift around the freshest seasonal fruit and/or tastiest artisanal foods. Available as a 3, 6 or 12 month subscription, and shipped for free. This month's gift is Mango Madness featuring five of the season's best fresh mangos and a snacking portion of organic dried mango slices for the mango lover on the go. July "Romancing the Stone Fruit"
October "Caramel Apple Dipping Kit"
April: Mango Madness features five of the season's best fresh mangos and a snacking portion of organic dried mango slices for the mango lover on the go.